Gentle reader, that Satyrine is a city of marvels is a notion so banal as to be cliché. Every street corner holds some new wonder, every alleyway disgorges today’s tentacular horror. It’s all enough to make your average Far Towner pull his peacock-feather comforter up around his wooden ears and vow to never again set foot out of his opulently appointed pied-à-terre. But every so often, something comes along that drags even the most joy-weary journalist out of bed: in this case, an invitation to Hart Manor. Hart Manor is famous in Far Town. The Harts, with their mangrove-like family tree and shared excellence in goetic summoning, are figures who have loomed large in Satyrine’s history. Some whisper that the Harts had a direct influence on the War. Others whisper even more quietly that the Harts were directly responsible for the War’s beginning, or its end. Still others, in tones so hushed that silence seems loud, intimate that the Harts were the enemy in that selfsame War. Naturally, nothing can be known of the War, and even if these preposterous rumors were true, the Harts have shown themselves to be stalwart citizens of Satyrine since War’s end. Whether they’re Satyrine’s erstwhile protectors, or penitent destroyers, or neither, they deserve our respect and courtesy. Also, they throw a fantastic party. So, born from my overwhelming sense of civic pride and engagement, I procured myself an invitation to their latest soirée, a garden party thrown by the Order of Goetics to celebrate some obscure planar conjunction or other. The manor itself, for those who have not seen it, is impressive, an architectural and mechamagical marvel. The House unfolds, “like an accordion,” I am told, based on the whims and wills of those who walk its halls. Of course, from the outside, the House keeps its secrets, and my invitation didn’t vouchsafe me entrance to the House per se, but the manor’s grounds are sprawling and exquisite, with more than enough intrigue for one reporter to investigate. I arrived an hour past sundown, the chill autumnal air crisp as it blew over the well-tended gardens. We were invited towards a central gazebo, inside of which had been inscribed quite a complex summoning circle, still smoking gently from previous use. The Goetics in attendance seemed in fine spirits (and the spirits in attendance seemed fine in Goetics), so I can only assume that whatever they had been working on had gone well and only the barest minimum of people had been dragged screaming into the Red by demonic hordes. Certainly, no one who wasn’t supposed to be, anyway. In addition to the usual counter-bourbon and cucumber finger sandwiches, the Harts spared no expense, serving a truly exquisite anti-wine. It’s said that the grapes that make anti-wine are cultivated in the Nightside of a secret Sun on the edge of the Dark itself, where they grow fat and plump on the Void. This is absolutely preposterous, naturally, but it does add a frisson of the forbidden as one imbibes the thick liqueur. Good anti-wine is a purple-verging-on-black, and stains the shadow of the user a characteristic chartreuse hue. With drink in hand and viridescent shadow following close behind, I perambulated the party, searching high and low for some sign of our hosts. In the depths of a heartswood labyrinth I nearly stumbled over a figure undoubtedly known to the readers of this fine gazette: the redoubtable Kitty Hart, Goetic and half-hearted card shark. Kitty’s associations with the recently Apostated Wayne (about whom more later) and with Calvin Weaver (attentive readers will remember that he ruined that nice block of Far Town near the Sausageman’s shop; it took the workers weeks to chase all the birds away and de-age the sidewalks) have set tongues a wagging all over Satyrine. Kitty’s Goetic associations are reported to be as wide-ranging as they are dangerous, and while she may only have half a heart, those who underestimate her power or her passion may live (or die) to regret it. Kitty has been tied to some extremely outré beings, but we must ask ourselves if it is possible for even a Goetic so accomplished as Kitty to have truck with such powerful figures. Moth-Demons? Perhaps. Body-swapped Angels? Certainly. But we must reject out of hand the pernicious rumor that Kitty has met a Nightside Warden; it simply beggars belief. I say that I stumbled upon Ms. Hart, and the truth is, I did nearly run into her. She was on an unlit path through the hedge maze, and seemed quite pensive. My journalist’s instinct for interviews gave way, in the face of her obvious distraction, and I left her to her evening with nary a word. For that, dear Readers, I apologize. In retrospect, I wish I had asked her if there were plans to reopen The Fine Jubilee any time soon, seeing as how it had of late been replaced with an obsidian replica. As an aside, I confess that my curiosity about Ms. Hart had been piqued. Later that evening I prevailed upon a friend of mine to arrange Goetic access to a close confidante of hers who, upon condition of anonymity, agreed to talk about Kitty. I had hoped to plumb some of the secrets at the heart of the half-hearted Hart, but regrettably my interviewee quickly got into an argument with themself about their subject, and pretty much all they managed to agree on was, and I quote, “KITTY’S LITTLE FAMILIAR THING IS ADORABLE AND WE LOVE IT. YES, WE DO.” My interviewee then bade me “BEHOLD US!” and vanished. I later learned that the name of the familiar in question is Lucky Strike and that he is, indeed, adorable. I pray only that The Editor will forgive me for both botching this interview and for the pun I left in this paragraph. Hastening away from my encounter with Kitty Hart, it didn’t take me long to spy the formidable and vivacious Lucy Bright. Bright, for those unfamiliar, is a Goetic of the fifth or sixth degree, and perhaps the favored daughter of Hart House these days. Ms. Bright (an extremely eligible young woman, by the way, of power and means) was holding court in a grove dotted with diamond flowers and soft orange flames. Tongues of fire floated elegantly around as she attended to her society, assessing various elements of social and magical business, limned in light as Kitty had been cast in shadows. Rumor has it that Lucy is still holding a torch for the elusive and aforementioned Wayne, heretofore of the Order of Makers — but Wayne hasn’t been seen in his usual haunts lately, and perhaps now we can stop hearing that awful portmanteau: Wucy indeed. Pfah. Lucy’s romantic entanglements aside, her future eponymous seems as luminous as her surname would portend. Make no mistake, her meteoric rise in the Goetic Order is due quite as much to her tremendous skill as it is to her family’s connections. Let that be a warning to all you young ladies and gentlemen who might fish for Ms. Bright’s hand in marriage: her skill at contracts is almost unmatched; this reporter encourages any supplicant to vet wedding vows with a thoroughness. Returning to my evening at Hart Manor, however, I can relate only one more anecdote of note for the evening. After hob-nobbing for some time with all the usual who’s-who of Satyrine society, I perchanced to glance up at a lit window of the house. I confess I had moved on to more than a few glasses of counter-bourbon at this point, but I am dead certain that I saw a figure in that window. And perhaps a figure in a window in a house is not so strange a thing but, and here I must ask for your forbearance, reader, I felt a chill in my wooden bones. 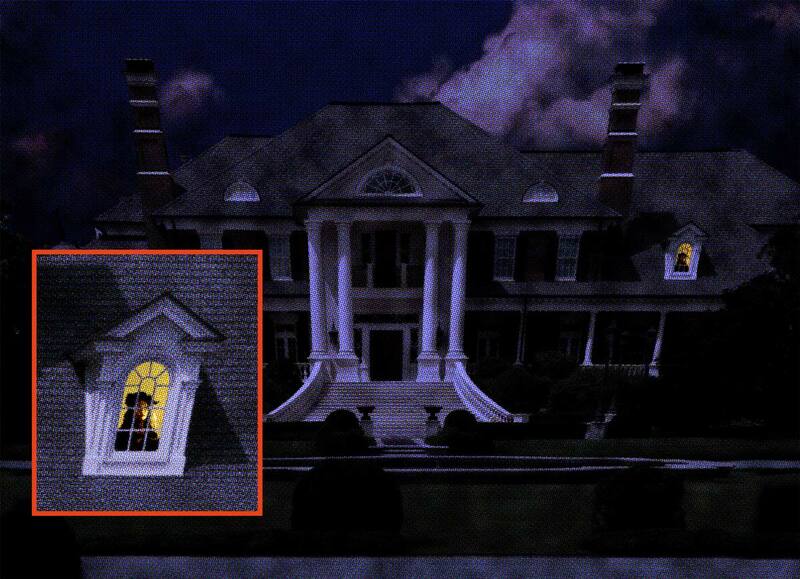 Standing at that window was a figure whom, in silhouette, I recognized from the hedge maze. Those same shoulders I had seen moments ago, that same cumulus of hair. And yet, in the lines of that far-off figure, I saw none of Ms. Hart’s kindness or her passion, none of her… life. There is a thing in Hart Manor that looks like Kitty Hart, but she is cold, and her stare is hard, and I do not know what she wants. I do not even know how to refer to this apparition except to surmise that this is some ancestor of Kitty’s, who has returned from a sojourn in the Pale. Readers, I encourage you: give this figure wide berth! Do not trouble it, lest it trouble you! Simply seeing it from afar drove this reporter quite away from what was otherwise a lovely garden party, and saw him spending the rest of his evening diligently bolstering the wards around his own home. Spare yourselves this fate! And so, my evening at Hart Manor was concluded. I reiterate: if it is by some means possible for you to acquire an invitation to one of their parties, I heartily commend it. The food and conversation are excellent, and the number of menacing apparitions which may strike afflict your soul with terror is markedly lower than at many other parties I have attended recently. I have lately heard that Kitty Hart herself plans to throw a ball at Hart Manor. Which Kitty, I can not precisely say. As such, you may wish to wait for a further installation in this series before making plans to attend.